Yes you read that correctly,Wagner Victorinox Pens. They look very cool,incorporate Vic tools,use the Fisher space pen refill and incorporate an LED light. What's not to like ? As if I need anything else to collect.LOL Well maybe just a few for EDC. Here is a listing at ebay for these pens. 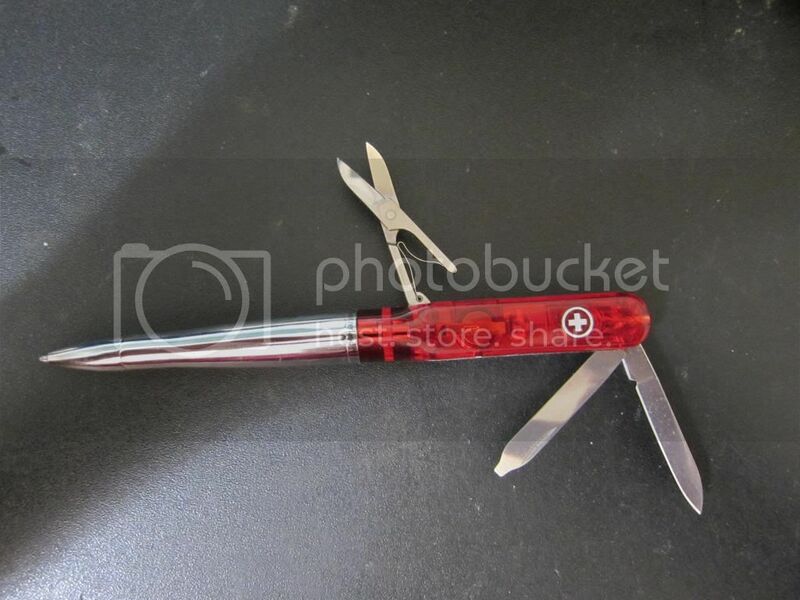 I almost bought one of those when I first found them, but my OCD was not ok with the scissors not being able to open all the way. We have some info on them scattered across the forum. Here's the most recent thread. Starting at post #5. I think I paid $15 for mine a few years back.